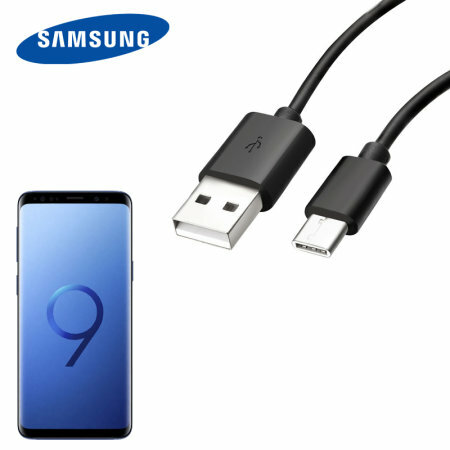 Perfect for charging your Samsung Galaxy S9 and syncing files, this official 1.2m bulk packed Samsung USB-C to USB-A cable provides blistering charge and transfer speeds and also supports adaptive fast charging. Bought this replacement cable for my Galaxy S9. Very happy with it. You need not have any doubts about the quality of this cable, it is the real thing from Samsung. I bought this to use in a multi-usb fast charger for my S9 and works a treat in quick time. I also purchased a genuine Samsung fast charger for use at work. This company sells the genuine gear where stated. Everything was good to me and it arrived in time as promised. On time delivery and best quality product! Bought 2 only tried one so far and as yet does not seem as good as the one that came with my phone? Cable is spot on better than anything I have purchased from ebay, will buy again!! Really happy, does what it says on the tin! Product arrived in timely manner and was what was described, although had no stamp with any markings. Have only used them once each to make sure they work and they do so very happy. Great product, delivered as described. Exactly as described, arrived earlier than promised. All good. Works perfectly with my s9. I wanted to make sure I bought an authentic samsung charging cable. Neither the packaging or the wire have Samsung printed in them however this does fast charge my Samsung phone which leads me to believe it is Samsung or as good as. Perhaps its length, which by the way was more than adequate. It is just a cable! It is a cable and it works! Arrived quickly with no damage in shipping! Thank you mobile fun.